It's finally here. After months of amazing games and one of the best playoffs I've seen in years, two teams have finally made it to the top of the mountain. The Baltimore Ravens and the San Fransisco 49ers are set to square off February 3rd at the Mercedes Benz Superdome in New Orleans, Louisiana for Super Bowl 47. Historically, the most watched event on television is the Super Bowl, but that's exactly where the problem lies—television. It's hard for football fans who are traveling or don't have a TV sitting next to them to catch the game. If you're one of them, take solace in knowing that you CAN catch the Super Bowl, because it will not only be aired on television, but will be streamed on the internet and to mobile devices, too! For free! 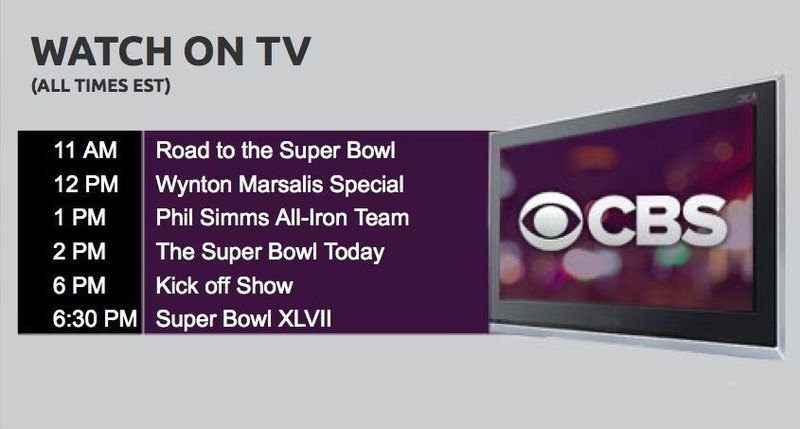 First off, for those of you who do have a television and decent antenna, CBS will broadcast Super Bowl Sunday live on February 3rd, 2013 at 3:30 p.m. PST (6:30 p.m. EST). CBSSports.com will be living streaming the Super Bowl for free, and will start with the pregame activities beginning at 8 a.m. PST (11 a.m. EST). There are also some added benefits to watching the game online, like being able to choose your angles of the gameplay, as well as commercials on-demands (and we all know that's half the reason a lot of people watch anyway). You can also catch the entire Super Bowl XLVII over at NFL.com. Don't have time to actually watch the game? You can follow the CBSSports Twitter account for up-to-the-minute scores and game details. Verizon has partnered with the NFL to bring you the official NFL Mobile app for your mobile device. Unfortunately, it's only available to Verizon users, so if you're on another carrier, you won't be able to use it. If you're a Verizon customer, you can download the free app on your Android device, Apple iOS device (iPad, iPhone), and Windows Phone. You'll be able to watch the entire game, as well as check out live stats and different camera angles not broadcast on TV. For those who use other service providers, there's the CBS Sports App, which is available for Android and iOS. You won't be able to watch the game, but it has live scoreboards and stats, and you can catch up on all your sports news while you watch on your TV or computer. 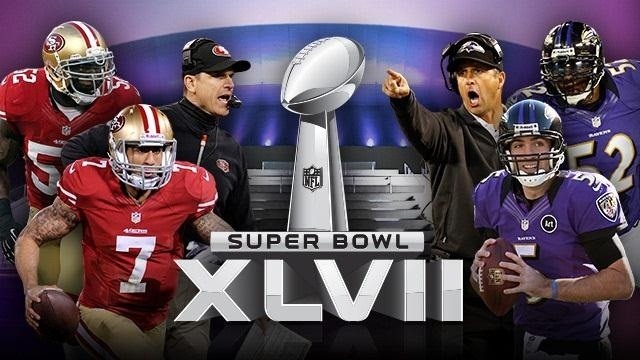 Now, don't forget to watch Super Bowl XLVII (featuring two brothers from the same mother) on February 3rd at 3:30 p.m. PST (6:30 p.m. EST).